Samuji Fall Winter 2015 Feeling Book photographed by Niko Mitrunen. Image courtesy of Samuji. 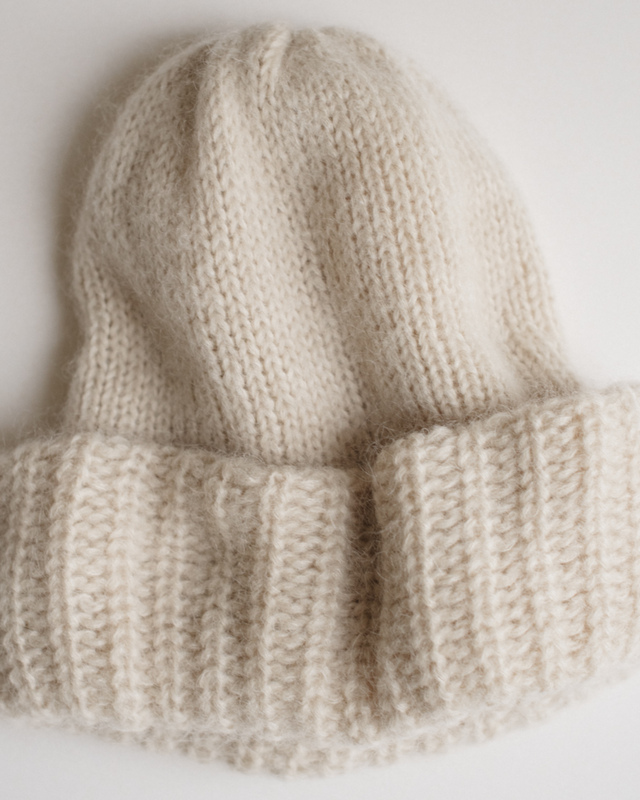 Mohair beanie in 'Ecru' from Samuji FW16 collection. The super-sized mohair beanie is the perfect accessory for keeping warm and, when needed, having your privacy. No wonder it is so a popular right now. For me, wearing the beanie feels like having a modern armor similar to sunglasses or headphones. It brings me peace by keeping any extra noise out. Plus, of course, it looks super cute on.